This companion product to the Volume 4 Book/CD set contains a wealth of printable bonus content which offer a way to reinforce the concepts from the songs throughout the week! Help your students generalize skills by integrating these flashcards, worksheets, and activities into daily rotations, therapy sessions, or group learning. 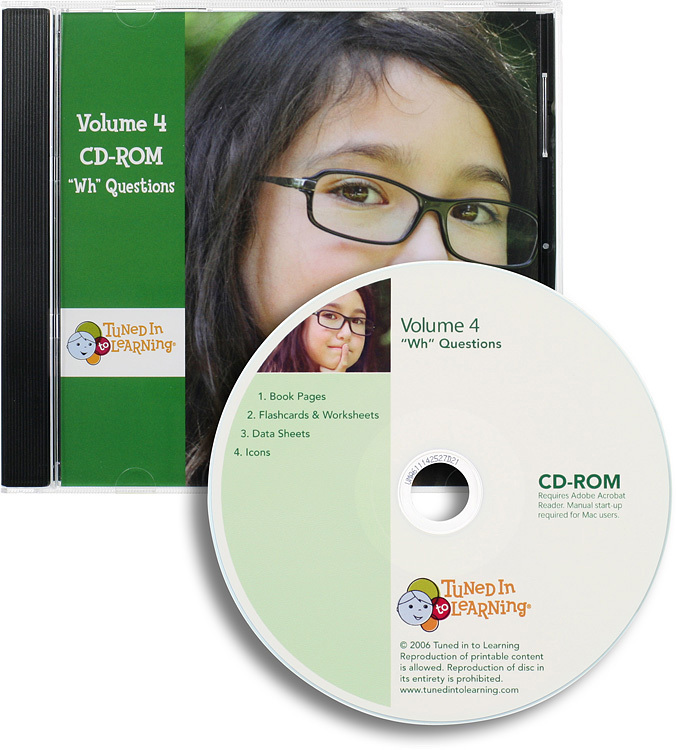 Please note this CD-ROM is intended to be a supplement to the Volume 4 Book/CD and does not contain song recordings. This disc is used in your computer and contains visual supports in PDF format.